8.5 / 10 by 1 users Rate Now! : The end of the Indian Wars in the US concluded with the horrific events at Wounded Knee in December, 1890. After Custer's defeat at Little Big Horn and Chief Sitting Bull's subsequent surrender and execution, the Lakota Sioux set out on a 300-mile walk southward through South Dakota. Along the way they were joined by Chief Big Foot's band of Minneconjou Lakota and pursued by the Calvary, ending up at Wounded Knee where 350 Lakota were massacred. 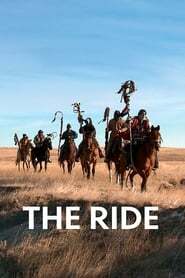 In The Ride we are witness to the annual Chief Big Foot Memorial Ride, a tradition since 1986 where young Lakota retrace part of the route on a 300-mile horse ride in late December.